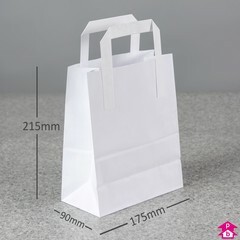 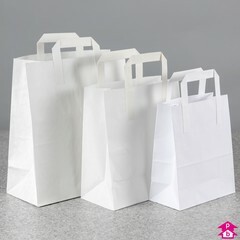 Premium White paper carrier bags with square bottoms so that the can bags sit open whilst being filled. 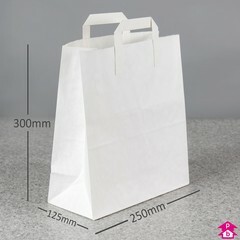 Perfect for hot takeaway food, sandwiches, ready-packed lunches, picnics or kid's meals. 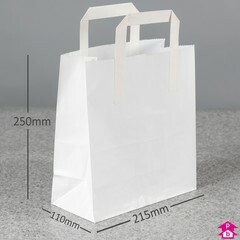 Please note that these bag dimensions are given as 'width' x 'width-plus-depth' x 'height'.